Next week I’m headed to Mexico for my best friend’s wedding and I can’t wait to lay by the pool, read a book all while drinking a Michelada. In California, what you see pictured is often referred to as a Beergarita but in Mexico it’s a Michelada (well, without the frozen element to it). 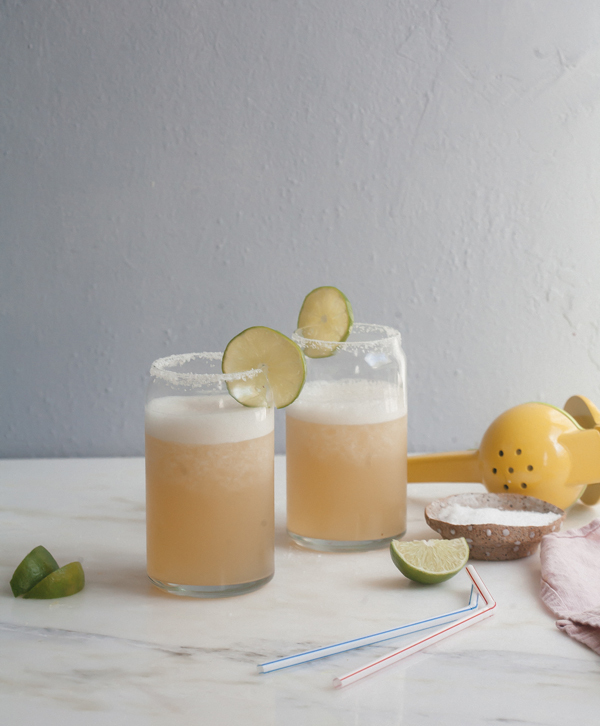 Micheladas are also known for being a more tomato-based drink but come a few different ways, depending on what part of Mexico you’re in. This will be my first time to Cabo and while totally touristy, I’m most excited about hitting up a few taco places, off the beaten path, far, far away from those t-shirts with bikinis on ‘em. While this is American as they come, it’s still SO delicious. I’m not a huge tequila drinker so I favor the taste of beer. 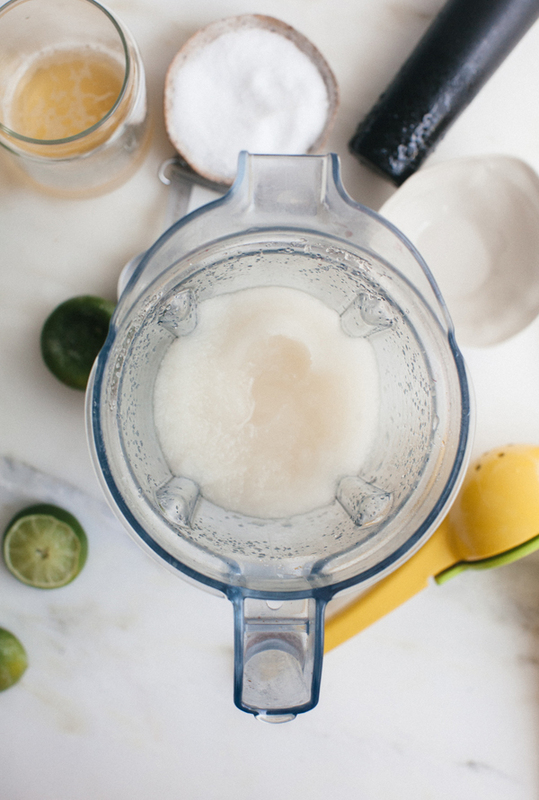 The fresh lime juice and ice make a slushy of sorts. Then, comes the beer. 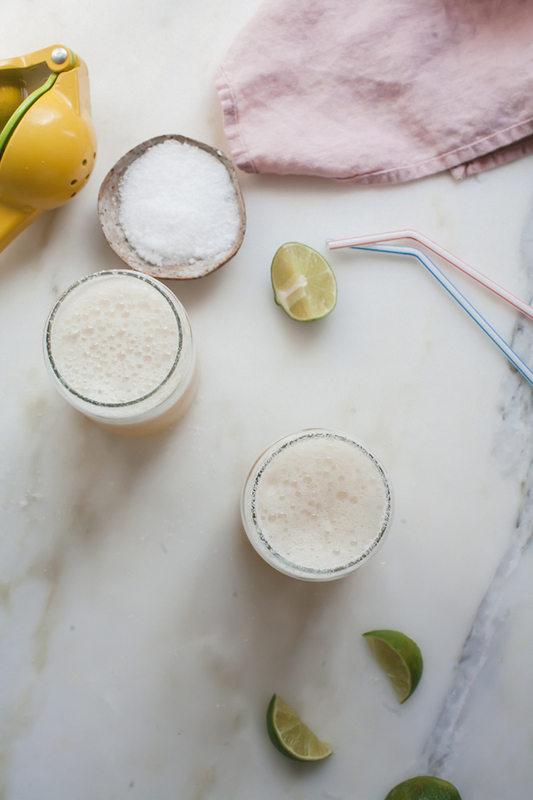 It couldn’t be more simple to make and it’s so ridiculously refreshing. It’s exactly what you want to drink poolside, all day long. 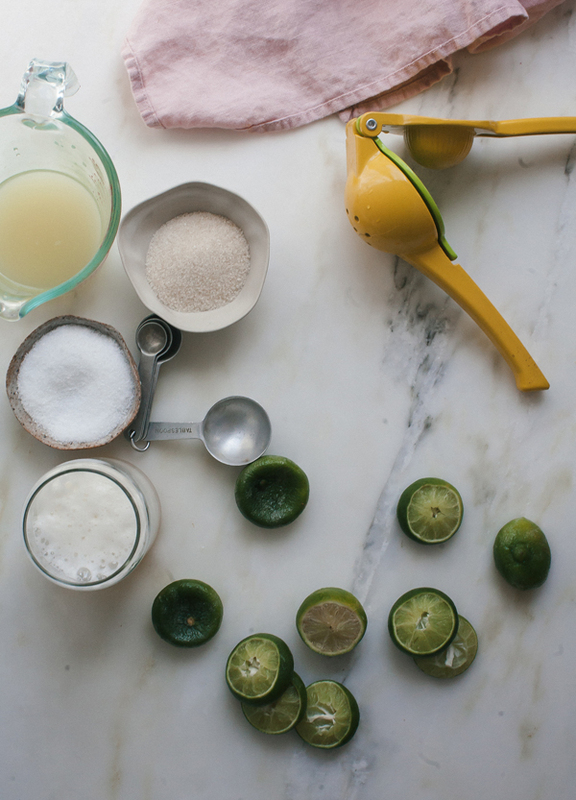 To a blender, add the lime juice and sugar. Blend until the sugar has mostly dissolved, about 20 seconds. Add the ice and blend until all the ice is crushed. Pour in the beer and blend once more until combined. It’ll be frothy, not to worry. Add a few tablespoons of salt to a shallow bowl or plate. Rub a lime wedge around the rim of two glasses. Dip them in the salt until it’s evenly coated all around the glass’s rim. 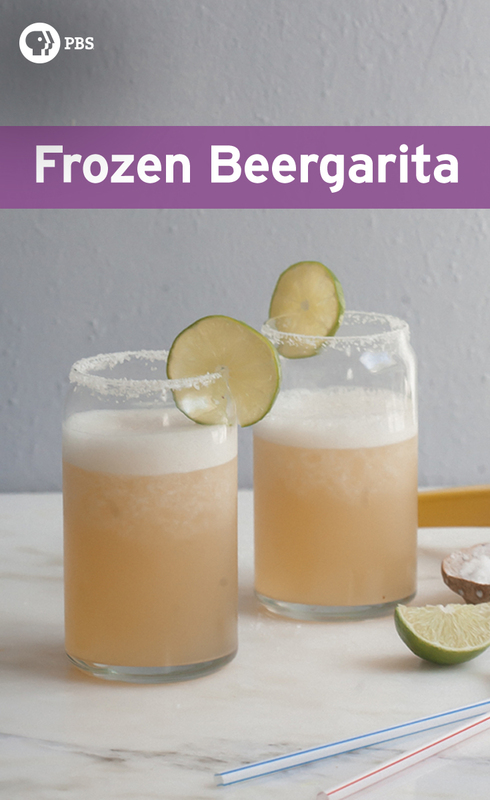 Divide the frozen beergarita amongst the two glasses. Garnish with a few lime wedges. Drink immediately.